So far Samsung has been right on the money when it comes to the much-anticipated Android 4.3 update for its major phones. Today customers with the AT&T model of the Galaxy S4 are getting the last version of Jelly Bean, according to this (very long) thread on XDA. It looks like the update file started going out to customers a few hours after midnight, so technically Samsung is a day late - then again, the schedule was leaked, so it's hard to hold that against them. The update adds all the bells and whistles in Android 4.3, plus a few tweaks to Samsung's TouchWiz skin, mostly to update it to match the newest "Nature UI" found on the Galaxy Note 3. More importantly, it extends support for the Galaxy Gear smartwatch, previously restricted to the Note 3 and eventually coming to all versions of the S3, S4, and Note II. You know the drill - either wait for the rolling update to reach you and alert your phone automatically, or manually check for the update via the Settings menu. But if you're really impatient, you might just want to wait for the update to come to you: some of the XDA posters report that the update check function on the Galaxy S4 will only work once every 24 hours. As always, if you've got root and you want to keep it, hold off on the software update until further notice. Update #1: It looks like some of the AT&T Galaxy S4 users started getting their updates late last night. 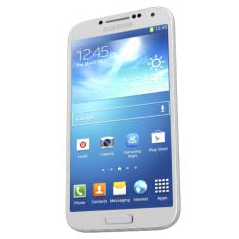 Effective November 14, 2013, a software update for the Samsung Galaxy S 4 will be available to AT&T customers. This software package updates the Baseband version number to I337UCUEMJ9, and includes multiple improvements. The size of the update file is 719MB, and is available to download over Wi-Fi only. Source: XDA-Developers - thanks, Nathan Troester!